Long Island City is slated for a new wave of residential projects — and the Amazon move may help push more developers toward condominium projects in the rental-heavy neighborhood. Over the last few years, LIC has been shedding its industrial past as more residential developments crop up in the neighborhood. Amazon’s plans for a campus in the area have put a spotlight on LIC, which has predominantly been a rental market. While the current pipeline of projects stills skews toward rentals, the tech giant’s announcement could sway developers to add more condominium projects to the mix. The Real Deal’s analysis of Department of Buildings filings found that active multifamily projects in Long Island City contained 6,566 units, of which 1,250 — 19 percent — were associated with condo plans filed with the state Attorney General’s office. By comparison, condos made up just 11 percent of the 9,300 residential units completed in the neighborhood since 2015. With 802 condo units, Chris Xu’s 67-floor Skyline Tower alone will account for 70 percent of the condo pipeline. Modern Spaces is marketing the property. The brokerage’s CEO Eric Benaim said Xu approached the firm — and they worked together to build a complete team, including Hill West Architects, for the project. The brokerage was consulting on the project for two to three years, and now is wrapping up its branding and marketing efforts, he said. At 964 feet, the glass tower is to set to be the tallest in Queens — and also slated to be the borough’s first billion-dollar-plus condo. Benaim previously said units start at slightly more than $600,000 for a studio on the third floor, and go up to $3.04 million for a two-bedroom on the top floor. The pitch process itself hasn’t changed much for them because their projects are largely based off existing developer relationships, Benaim added. Because Modern Spaces has been in the neighborhood for a decade, Benaim said that experience and market knowledge gives the firm a leg up. With millions of dollars on the line in fees, the landscape is competitive. Without mentioning them by name, Nest Seekers’ Adrian Lupu took a shot at Modern Spaces, arguing that their success has created conflicts of interest. “We’re seeing this effect for brokerages that represent too many developments and in direct competition with each other,” he said. 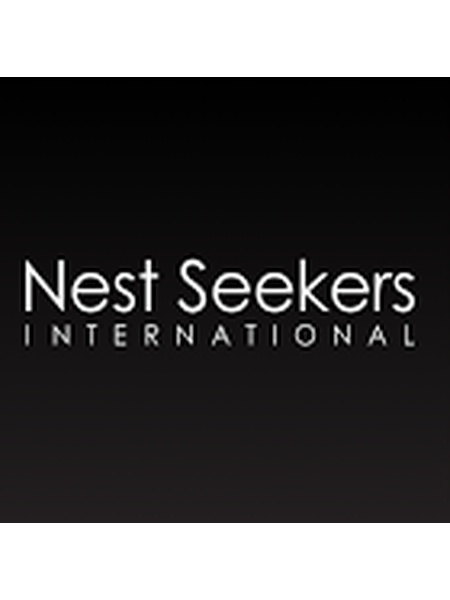 Nest Seekers was one of the first Manhattan brokerages to set up shop in Long Island City around 2006, he added. Benaim was a broker at Nest Seekers before founding Modern Spaces, and the two brokerages still occupy adjacent offices on Vernon Boulevard. Both agents and developers said they haven’t seen a significant change in the brokerage landscape in the neighborhood yet — partly because most of the major firms had an existing presence in the area and partly because it’s not easy to break in without previous experience and relationships there. “It’s always competitive, and you’ll certainly get interest from other people who now want to be part of it,” said MNS CEO Andrew Barrocas. Similarly, Baron said there will be new agents wanting to take advantage of the boom, but, especially for large projects, the contracts are primarily relationship based. Though there’s a significant amount of inventory in the works, there’s also enough demand to assuage any supply concerns, Baron said. Amazon’s move will not only bring its own 25,000 jobs — half of which are in tech — but also those of other companies that will want to locate near the campus, he said. The developer launched leasing at its massive rental project, Alta LIC, in May. The 43-story tower contains 14 floors of co-living units, with rents ranging from $1,380 to $2,063 per month. The 467-unit project is nearly 70 percent leased. Including projects that have yet to be filed, Citi Habitats has estimated that 10,000 rental units will be added to the area by 2022. The level of activity is driving up home prices as well as land costs, Lupu said. It’s pushed development outward into Court Square, Queens Plaza and Astoria – and Sunnyside and Greenpoint could be next. Lupu, Benaim and Barrocas all said they’ve been consulting with developers in this environment. Barrocas has spoken to developers who are now considering condo and rental projects. He’s also seen landowners who were sitting on the sidelines, waiting for inventory to be absorbed — but are now contemplating development. Despite the flood of interest, Barrocas said MNS is trying to be measured and selective about how many projects it takes on. Developers in LIC are catering to a younger demographic and many first-time homebuyers, said Thomas Ryan, head of Greystone Development. The firm is developing a 23-story rental tower at 24-16 Queens Plaza South. The building is largely studio and one-bedroom units, with a slate of amenities such as a billiards room and a theater. The design and unit mix was decided with younger buyers in mind, in case the firm opts to convert to condos in the future. “The price point is going to be palatable with smaller units and first-time homebuyers,” he said. Ryan also predicts the rental market will be stronger by the time the building is leasing in about a year. Today, Greystone would have to offer concessions of two months free plus the broker fee, he said. A year from now, he sees the worst-case scenario being one month free plus a broker fee. For future projects, Greystone is keeping an eye on further rezoning in the area. As the area has evolved, the Amazon news may be the needed push for future development to add more condos, developers and brokers said. In part, that’s because LIC city evolving and maturing. For people who have already been renting there and may be looking to buy, the for-sale options are much slimmer, said Stephen Kliegerman, president of Halstead Property Development Marketing. In the next one to five years, more projects will be condos.